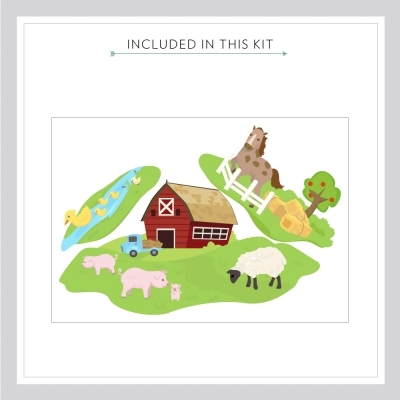 A red bard, horse trotting in the pasture, sheep and pigs grazing in the field, and a family of ducks splashing around a pond. What a scene! 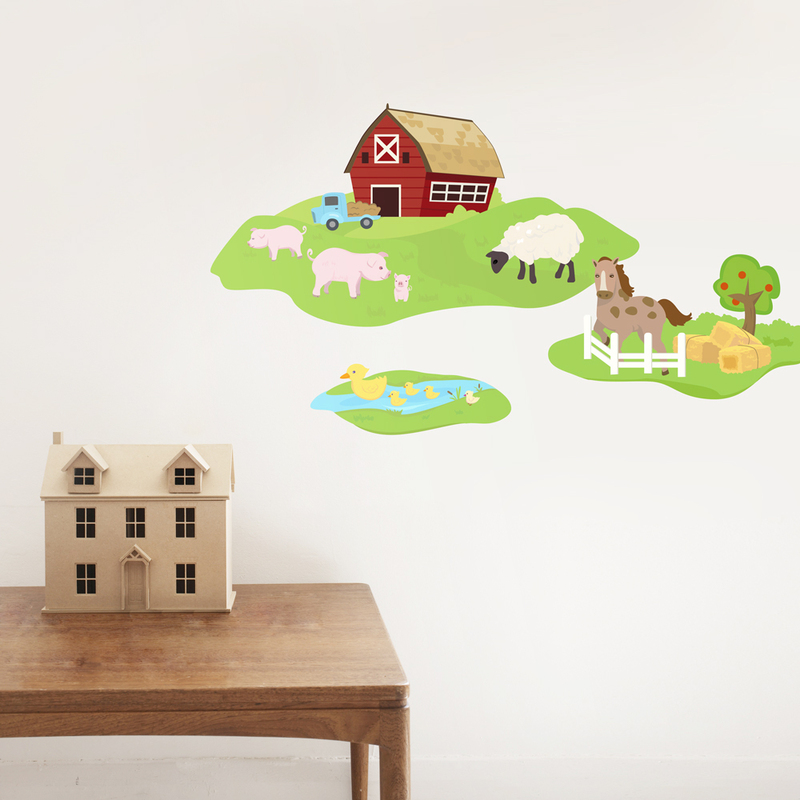 This Barn Family Printed Wall decal kit will have you dreaming of farm country living! Please note: Colors vary slightly from the image above.